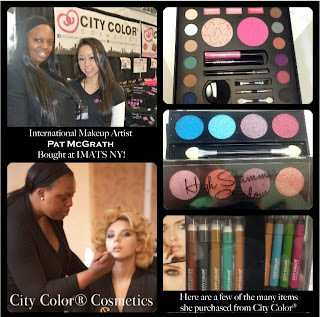 It's review time for a few of the City Color Cosmetics selection's that I received and wore in my Budget Beauty FOTD. I'm pretty excited about this brand because they're very on trend with new product releases like BB Cream's and Shadow Pencil's and the prices are beyond reasonable. I have a soft spot for the inexpensive because it's those cheap drugstore brands that allowed me to teach myself makeup back in the day. It can be a bit mind-boggling that a product that costs only a few bucks can be just as good as a $20 one. If I've learned anything it's that expense and quality don't always equate, and who doesn't like to save money right? And if Pat likes it..So do we!